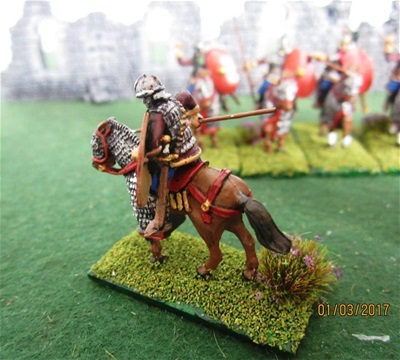 These figures, who most closely resemble the "medium" cavalry of the early Imperial period, would have commonly held the spears and swords we find in this collection of figures. 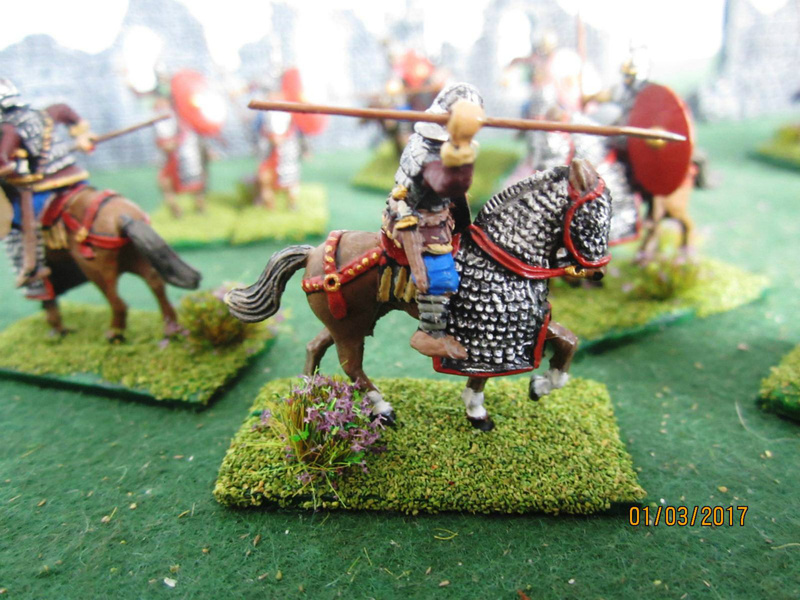 All the weapons are provided as separate pieces which fit into the ring or cupped hands, and all look fine. During the course of the fifth century Roman cavalry increasingly became horse archers, so the absence of such figures here suggests a period of perhaps the hundred years up to the early fifth century, although as always this is highly speculative. 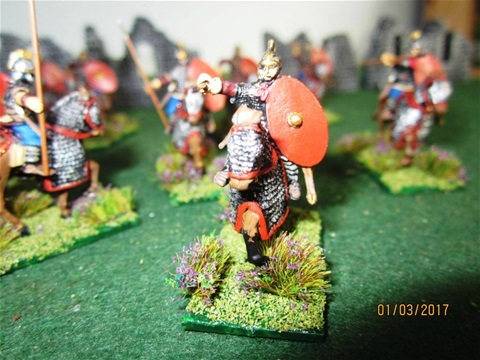 Although in theory Roman soldiers drew their supplies from state sources, in reality this system often broke down, particularly at times of civil war, or when operating in remote regions for prolonged periods. 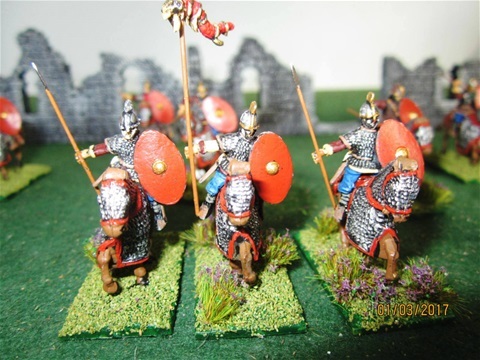 So it seems common for there to be almost no uniformity with such men, and all those in this set are pleasingly varied in their costume. One seems to wear a mail coat, while another has scale armour and the rest lamellar. 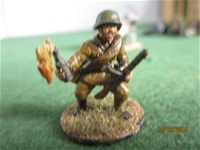 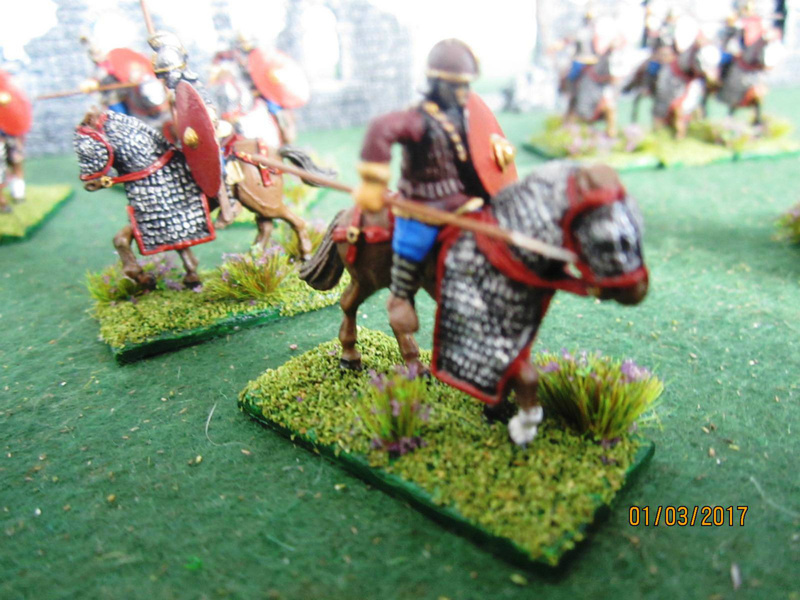 All the helmets are different, but all are of appropriate designs, and only the leg coverings are similar, being trousers or breeches with something like puttees round the lower leg. All this is quite accurate, as are the long swords (spatha) hanging on the left side from either a waist belt or a baldric, and the daggers or short swords several have on their right. 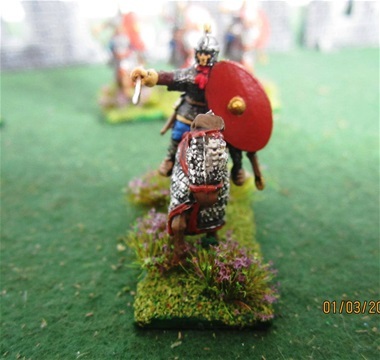 There seems no certainty about shields carried by such men, with both round and scutari oval shields being depicted. The famous Notitia Digitatum only shows round shields. Cavalry spears were light and could be thrown if necessary. 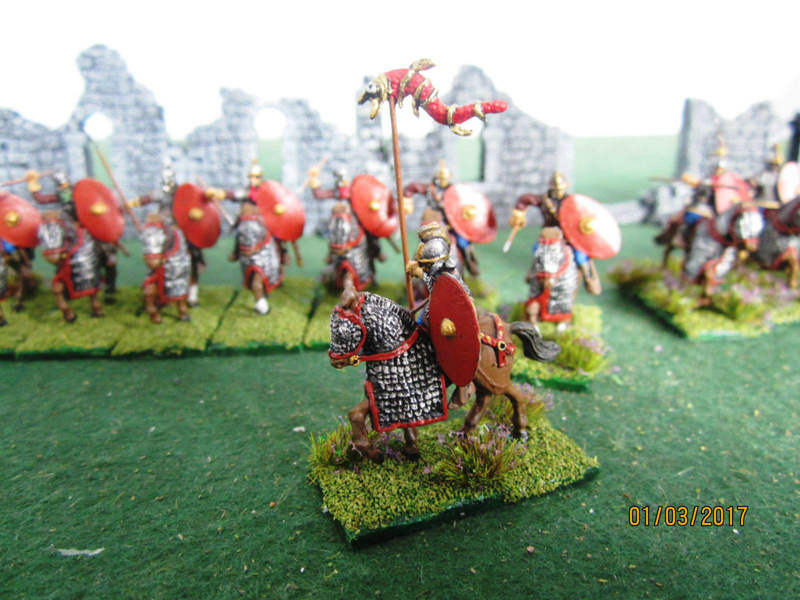 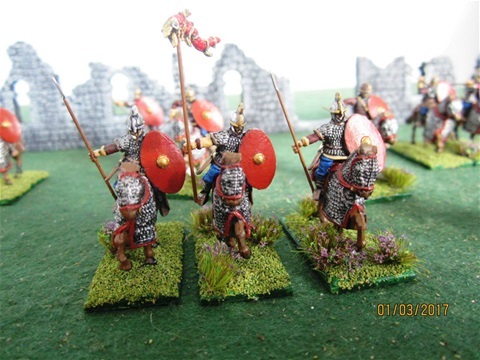 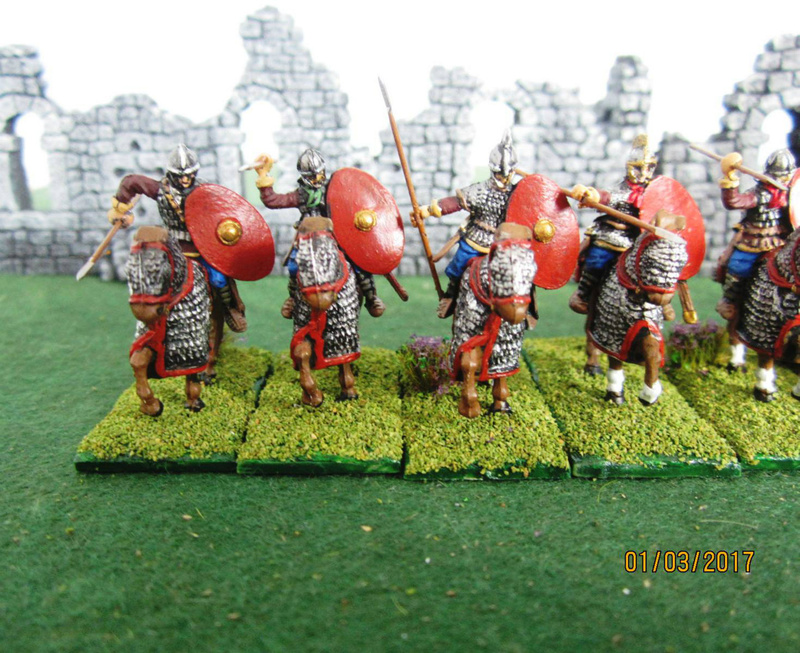 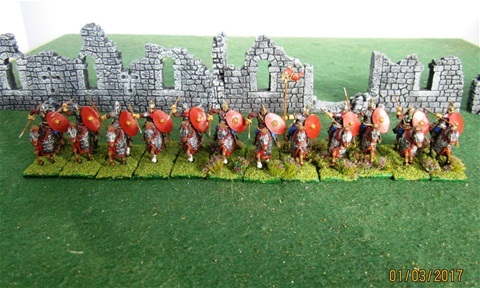 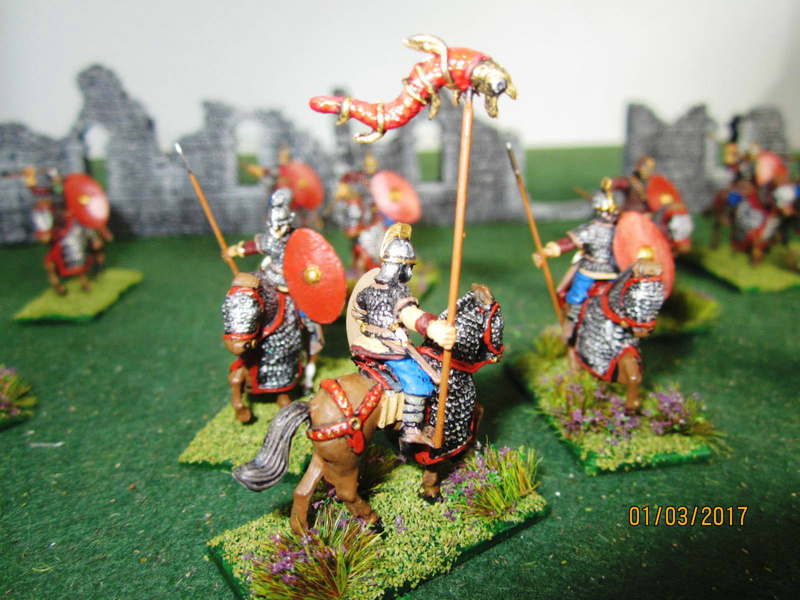 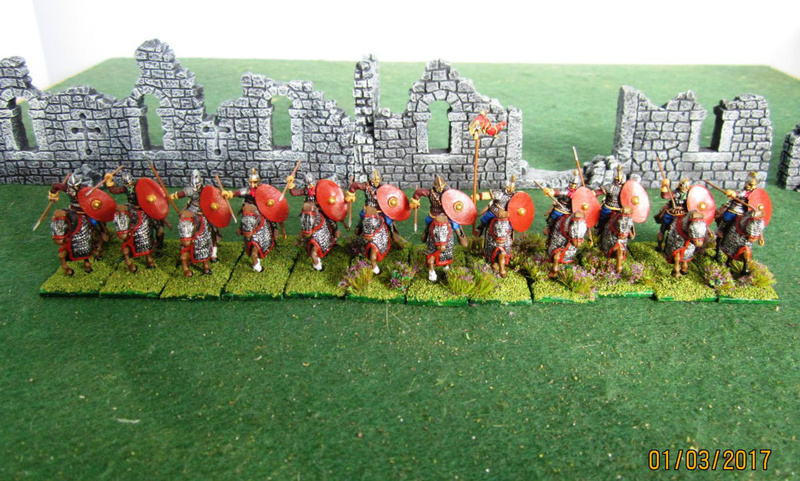 These figures represent the majority of Roman cavalry of the day, so any late Imperial Roman army is likely to need plenty of these models, and will be all the better for it.